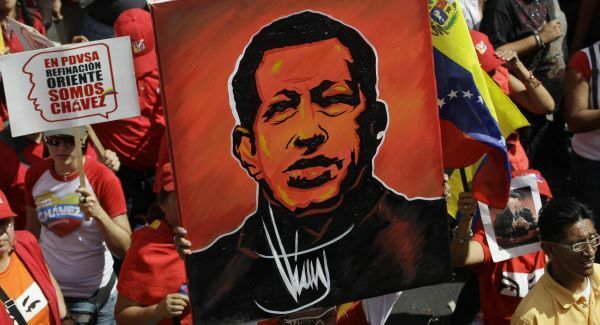 The charismatic Venezuelan leader Hugo Chavez has not only historically rattled his opponents abroad when he was living, but also today that the world missed one of the most progressive and populist leaders with his death on March 5. The four-term democratically-elected President may have passed away, but his revolution and legacy lives on especially in the hearts of the majority of his people and in Latin America. Despite those mainstream comments (at least in the West), Chavez is the champion of empowering the poor, by not only improving their social conditions (through oil revenues) but also by empowering them in the local political discourse. Chavez ended the duopoly of elitist corruption of the past when he got into power in 1999. The immensely charismatic leader offered his people a different kind of democracy, one that truly engaged and nurtured the pulse of his people. He brought reforms that favored the poor, which constitute more than half the population of Venezuela. Although the US often demonizes Chavez’ ‘oil weapon’, oil-financed programs benefit some eight percent of the country’s population, especially in the education and housing sectors, helping millions. Indeed, it is hard to support a coup against a leader who has the backing of his people, and was democratically-elected four times in one of the most transparent elections anywhere. Regardless of his portrayal in the US, Chavez has not threatened to cut oil exports to the US. President Chavez’ death certainly has people from the Left and Right scrambling on how to continue or cut the leader’s revolution. It is widely feared at home whether the concerns of the poor will be met in an event Chavez’ health stops him from doing his duties properly. Although the opposition had a quite acceptable performance against the President in the December 2012 elections, the opposition’s unity is still fragile. The patience and persistence of Henrique Capriles will certainly be under more intense scrutiny this time. With backing from the US, will the opposition finally gain power? Or will Chavez’ hand-picked successor Nicolas Maduro continue the populist revolution? However, while many supported Chavez, it is not clear whether the support will trickle down to his protege and allies. Indeed, the world can only hope to empathize with Venezuela during this uncertain times, and external powers with double standards should resist the temptation to exploit again and intervene.